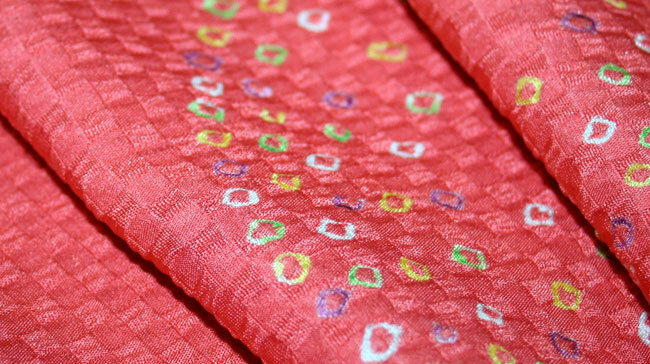 Kimoyes item: 17243 - Glorious woven kimono silk with hand applied shibori design. Glorious woven kimono silk with hand applied shibori design. Soft, silky and with a beautiful drape. Reversible.